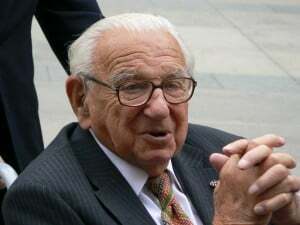 A remarkable documentary film telling the story of a true hero, Sir Nicholas Winton, who rescued 669 children from the Nazis in the Czech Kindertransport. Sir Winton passed away on July 1, 2015, at the age of 106. Film will be screened Wednesday, August 12, 2015 At the Bergen County YJCC 605 Pascack Rd, Washington Twp, NJ Doors open at 7:00pm, film begins at 7:30pm. Tickets are free – reservation required.